Green tea, whose homeland is China, Japan and India in the world, has been used in the treatment of many diseases in alternative medicine in history. Studies in many countries are still investigating the benefits of green tea, which is seen as a medicinal plant. 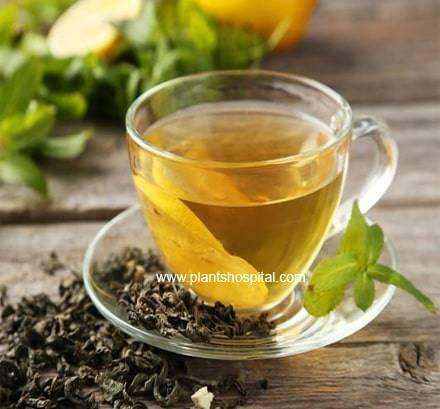 Green tea is a kind of tea that grows in nature, which is called Camellia Sinensis, which is obtained through certain processes in the production phase. Black tea is obtained from the same plant, but the difference in the production phase, green teas gives its own characteristics. Unlike black tea, in the drying phase, while black tea is slowly dried, in the production of green tea, this phase is quickly dried by preventing the plant from reacting with oxygen. Therefore, oxidation is completed in the production of black tea, green tea production in the tea leaves are half fermented. This tea has a stronger antioxidant effect because it passes through less process during production. 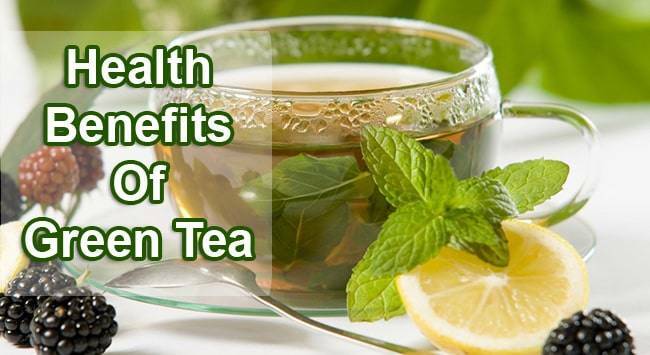 What Are Benefits Of Green Tea? Green tea, one of the world’s most healthy beverages, is a very powerful antioxidant. Green teas, which is a source of vitamin C, is a very rich plant in terms of vitamin E, contains polyphenols as an active ingredient. You can consume green teas for diseases that you fear will be caught in winter. It will protect you from diseases by strengthening your immune system. When you make a mask with green tea, you free your skin from harmful substances. You can try green tea to make your skin look more vibrant. The creams produced from green tea are used in acne treatment. Green tea has a positive effect on the skin. It is used in many cosmetic products because it protects against the harmful effects of sun rays. Removes the smell of the mouth. Effective in reducing kidney stones. Does It Weaken Green Tea? One of the strongest effects of green tea is its weight-loss effect. Research conducted in Europe and America showed that EGCG, the active ingredient of green tea, accelerated the body’s metabolism, reduced the absorption of fat and sugar from the intestines, resisted the formation of new fat cells and increased the burning of fat stored under the skin. Therefore, at least 150mg of caffeine daily should be taken together with 270mg EGCG. Does Green Tea Protect Breast Cancer? According to a survey conducted by the Tokyo Cancer Research Center in Japan on 54,000 women, green tea that protects many cancers does not reduce the risk of developing breast cancer. There is no connection between this tea and breast cancer, said Dr. Motoki Iwasaki. How Is Prepared Green Tea? You don’t have to go a different way than other herbal teas for prepare to green tea. One teaspoon (5 gr) of dried green tea leaves will suffice for a cup of tea. It is important to use good water so that you can enjoy the tea. Boil the water, turn off the stove and wait for 4-5 minutes. After the bubbles have decreased and the water has cooled a little, pour over the green teas you place with a filter on it. Wait 2-3 minutes, wait longer the tea may taste a little bitter. The point you should be aware of is not to pour water into a glass when it is full boiling, because green tea is best brewed with 80-85 degrees of water. In Which Cases Should You Avoid Drinking Green Tea? At the same time, you should avoid drinking green tea if you are drinking alcohol or drugs because caffeine in green tea can cause unwanted results when combined with other substances. It is not recommended that pregnant and nursing women drink green tea because it can have a negative effect on the baby. People who have high blood pressure, anemia and digestive problems should avoid drinking green tea or consuming a small amount of green tea under medical supervision. The amount of green tea consumed is what determines if it is beneficial to your health. Some people fail to drink too much green tea to lose weight, which is useless except for damaging their bodies. Remember, only two cups of green tea per day will suffice. Discover what green tea can do for your health. This tea will be enough to drink 2 cups a day. If more than 4 cups, diarrhea, vomiting can lead to confusion, dizziness, reflux pain, tinnitus. So we have to take care of drinking green teas. What Are Benefits To Skin Of Green Tea? This tea contains antioxidant and anti-inflammatory substances. As a result, it minimizes the signs of aging and wrinkle on the skin. In addition, studies have been observed to minimize the damage of the sun’s Rays on the skin. It refreshes the cells and prevents the formation of subcutaneous fat. How To Prepare Green Tea Mask? This tea can also be used as a mask to replenish cells and prevent wrinkles. Apply to face for 15 minutes, then rinse off with warm water. Add a tablespoon of green teas to the boiling water and stir for about 6 minutes. Filter green tea. Add a tablespoon of almond oil and honey on the filtered tea. Mix all this mixture beautifully. Ensure thorough mixing. After you mix well, you can apply the mask you have prepared on your face. After 20 minutes, wash your face and clean the mask. What Are Types Of Green Tea? Kai Hua Long Ding Tea. What Are Damages Of Green Tea? This tea has damages as well as benefits. Green teas causes frequent urination. Caffeine in green tea has an effect on causing insomnia. Although it can help many diseases, it is still not right to use long-term without consulting a doctor. This can be dangerous. Nursing mothers should not use it without a doctor’s advice. Recommendations: As with many foods, minerals and vitamins in green tea have protective and therapeutic properties for many diseases. However, in some cases, its use must be cut or minimized. In particular, patients who use sensitive drugs during the treatment of cancer and women during the birth or breastfeeding period should stay away from green teas or consult with their doctors. In particular, it is necessary to pay attention to the consumption of caffeine may be triggered by some diseases. There are different opinions about how much to consume per day because of the rich nutritional values it contains. There are 5 small cups and 2 large cups everyday. Therefore, we cannot say.